Upon disembarking from the escalator at the 2nd floor at Siam Discovery, just outside of Loft, you find yourself surrounded by an endless array of technology. Be it speaker systems, headphones, health trackers, cameras… it is all an overwhelming collection of gadgets from various brands around the world. Welcome to the Digital Lab at Siam Discovery! So what is Digital Lab? In short, it is where all things pertaining to technology are gathered and sold in one place in Siam Discovery. It is the ultimate hub for technological gizmos and gadgets. Whether if you’re looking for a new set of headphones or some decent speakers, the Digital Lab is the right place for you to visit. 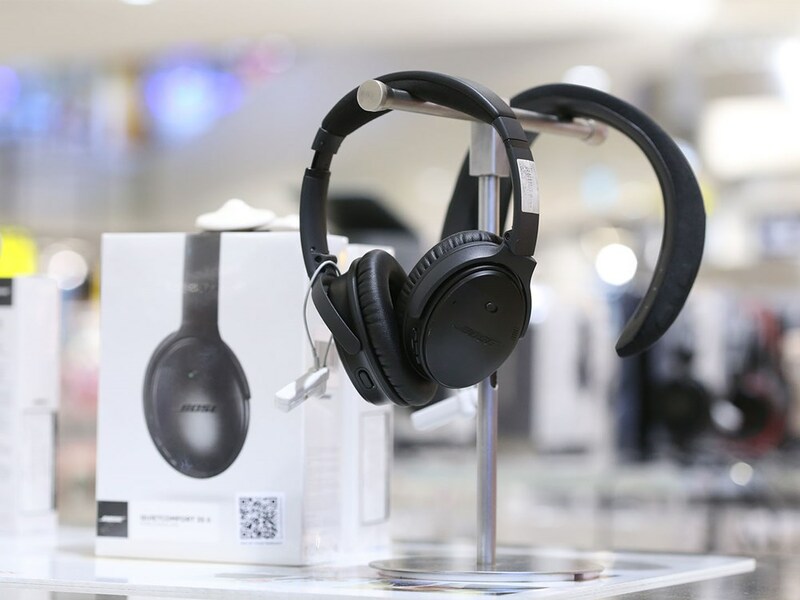 Without a doubt, one of the two most prominent types of gadgets you’ll discover at Siam Discovery’s Digital Lab are speakers and headphones. At the Digital Lab, it’s mostly all about the audio. But not just any audio; top-grade, premium-quality audio. You will find familiar names like Bose, Marshall, JBL, Bang & Olufsen and Sony among the vast collection of audio items present at Siam Discovery’s Digital Lab. Some of the items from these brands you may not even find anywhere else! First, we start with Marshall. 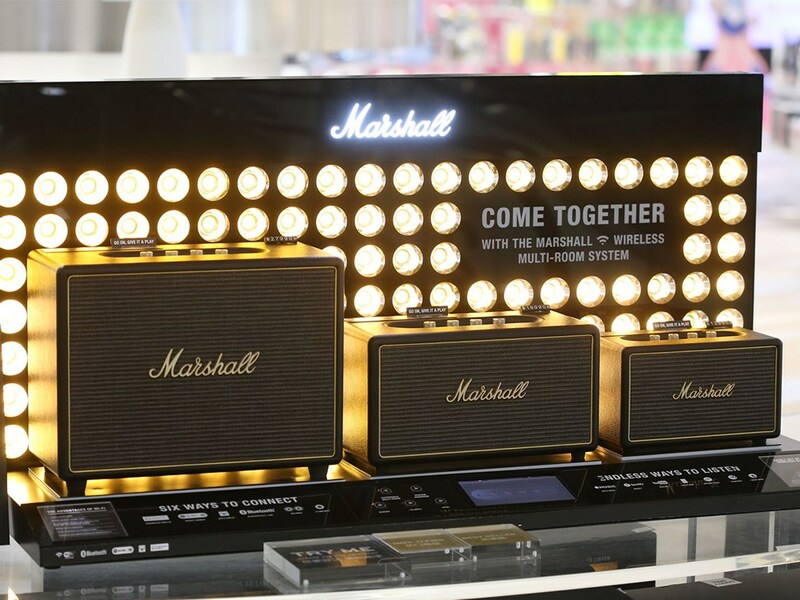 Originally known for its iconic guitar amplifiers, Marshall has since ventured into speakers and headphones, with both product lines having received overwhelming acclaim. Currently, there are three prominent Marshall speaker models: the 50-watt Marshall Acton, the 80-watt Marshall Stanmore, and the 120-watt Marshall Woburn. Together, these trio of speakers pack a formidable sound with their brand-new “Multi-Room” function, where all three speakers can play music simultaneously. 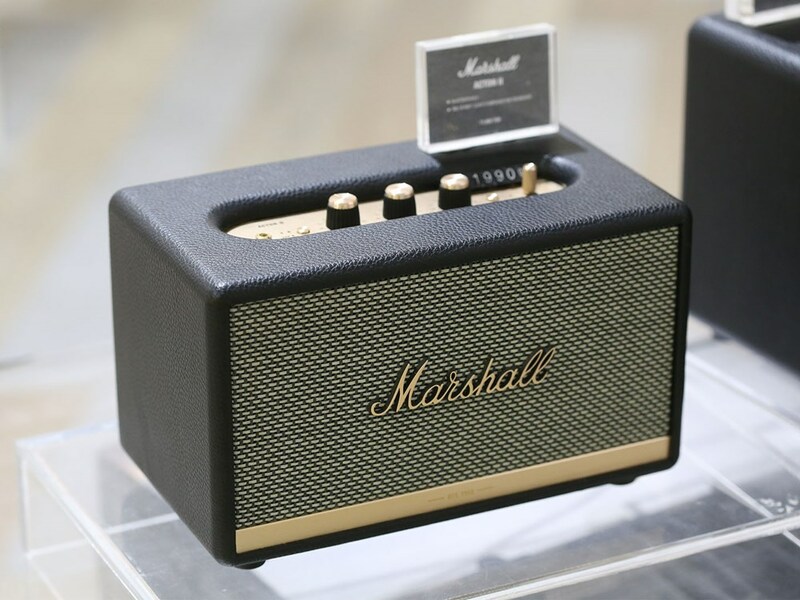 Among the three, the Marshall Acton has proven to be most popular among customers due to its size and portability. 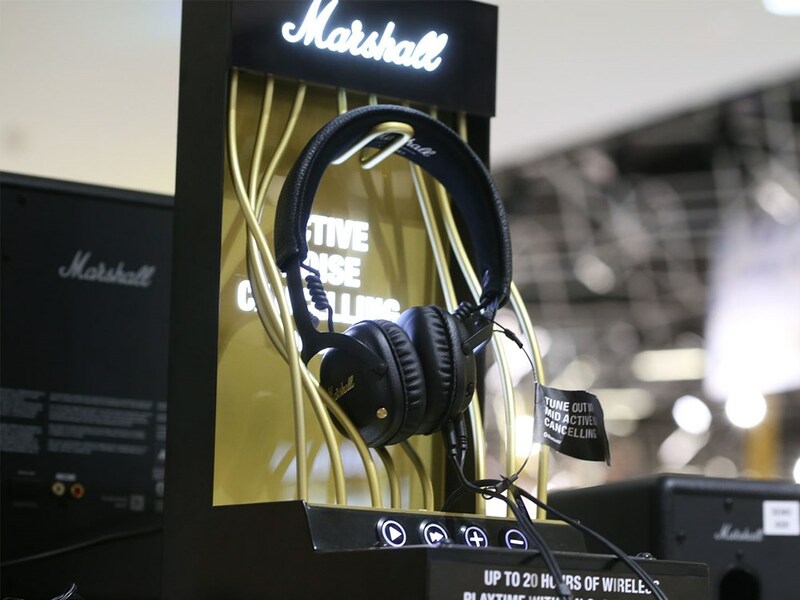 As mentioned before, Marshall has also successfully tried its hand in the realm of headphones. 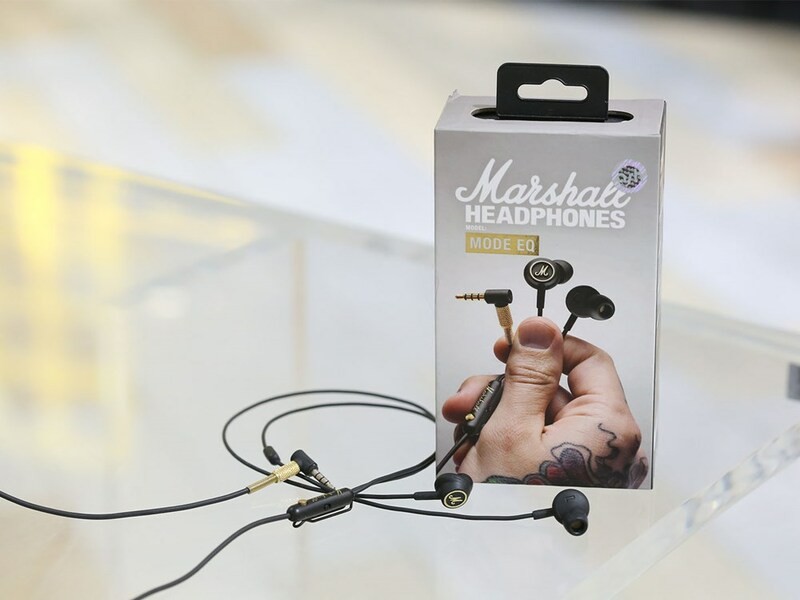 Among its bestsellers include the Marshall Minor II Bluetooth headphones, the Marshall Mode EQ earphones, and the Marshall Major II Bluetooth headphones. The Major II Bluetooth itself has up to 30 hours of playtime. After Marshall, we take you on to JBL. 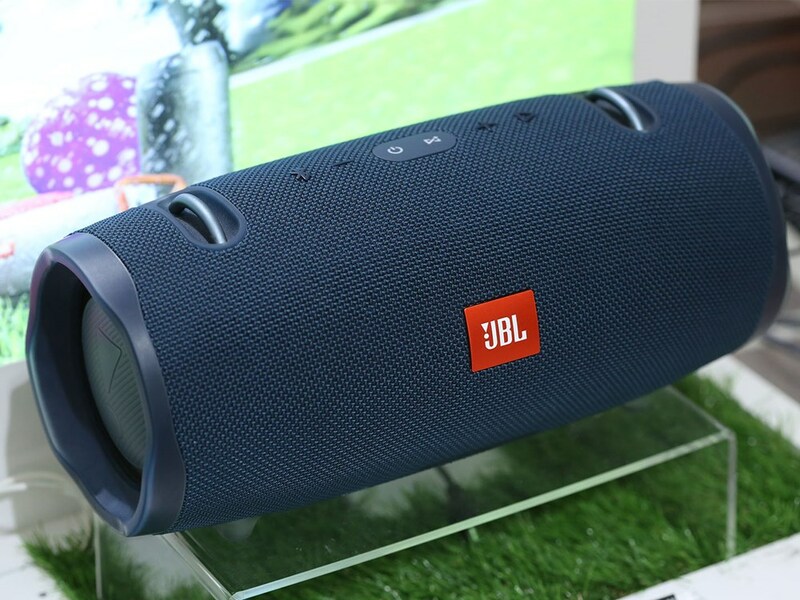 We all know that we can’t talk about audio gadgets without mentioning the JBL brand. Their products are just that good! 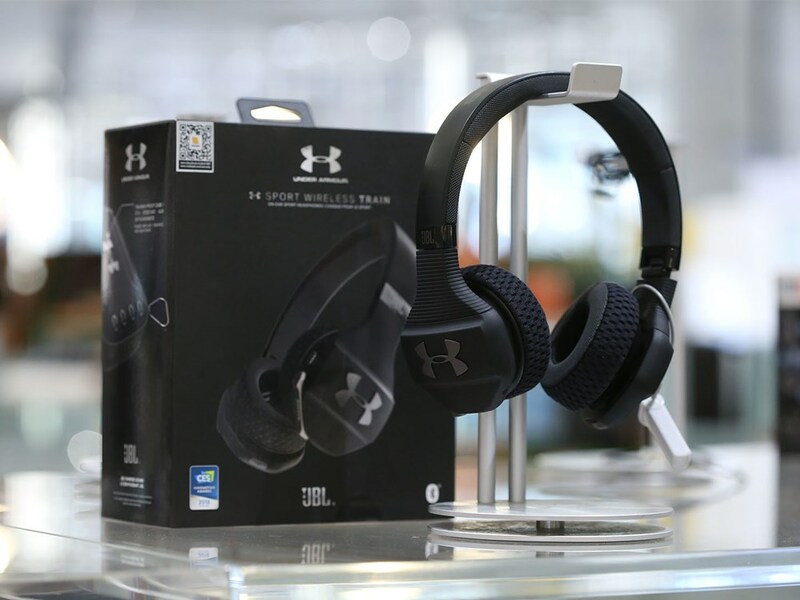 This is especially the case when talking about their headphones, so much so that they’ve gone and collaborated with the sporting goods brand Under Armour due to the rising popularity of exercise. One of the more popular pieces from JBL/Under Armour collaboration is perhaps the JBL UA Sport Wireless Train headphones. These are the perfect headphones for the gym or even outdoor exercise! But they’re not the only ones. JBL’s work with Under Armour has also spawned the JBL UA Sport Wireless Pivot and the JBL UA Sport Wireless React. Of course, JBL has also found considerable success with speakers. At this point in time, JBL speakers come in all shapes and sizes. They even have speakers specifically made for children, the JBL JR Pop. However, perhaps one of the bestselling JBL speakers is the cylindrical JBL Xtreme 2, which is waterproof and features 15 hours of playing time. Then you also have its fluorescent, color-changing cousin the JBL Pulse 3, which has proven to be very popular at raves and parties of all sorts. Next, we present to you Bose. For as long as we all can remember, Bose has always been a very popular brand when it comes to all things audio. Perhaps some people remember this brand as being one of the first to bring noise-canceling headphones to the public, a life-changing innovation for many at the time and something we now take for granted. Nevertheless, noise-canceling headphones have since expanded into other brands but there’s no denying that no brand does it better than Bose. The most recent and popular model of noise-canceling headphones from Bose is the Bose QuietComfort 35 II wireless headphones. Once these are activated, all interfering and ambient noises are shut off and the only thing you’ll hear is the music you so desire to listen to. You can enjoy your music in peace without any unwanted disturbances. The QuietComfort 35 II headphones are good for anything from a walk through the busy streets to a long plane ride. So that’s basically it for the audio products that you can get your hands on when you find yourself at Siam Discovery’s Digital Lab. Actually, no, you’re just scratching at the surface there. 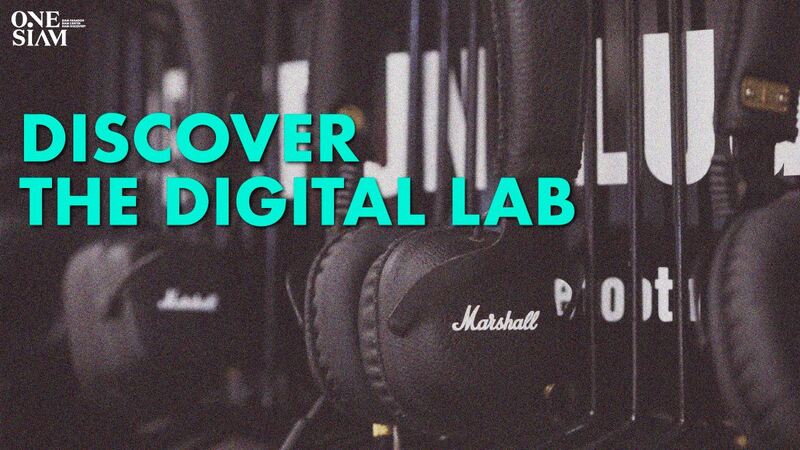 There’s actually so much more the Digital Lab has to offer and you’ll be impressed with what you find among the seemingly infinite and abundant collection of headphones and speakers. There’s basically no speaker of pair of headphones that you can think of that the Digital Lab doesn’t have. Still, there’s more to the Digital Lab than just audio devices, as advanced as they are. If you venture in a little further, you’ll discover polaroid cameras like the Lomo Instant Automat and Kodak cameras, this time complete with polaroid printers. 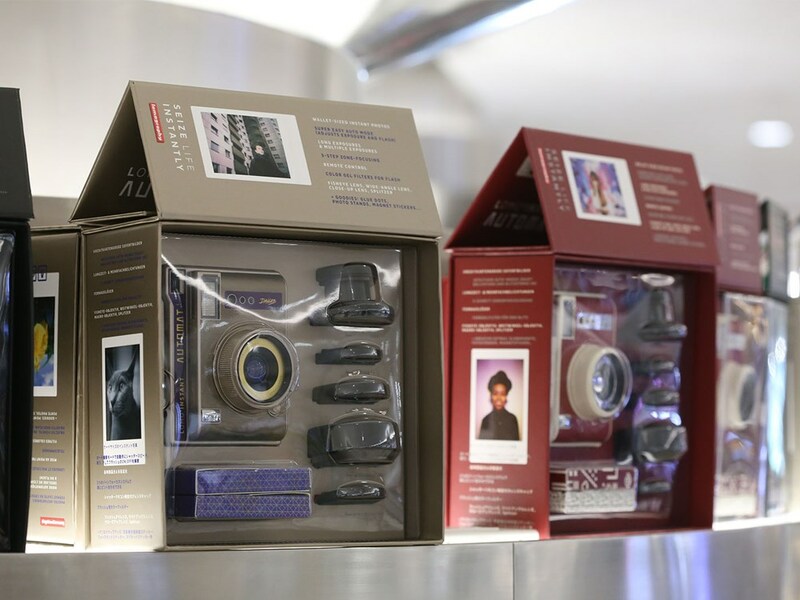 By the way, did we also mention that the Digital Lab is the only place in Thailand where you can get a Lomo Instant Automat camera? Yet, there’s still more to be found than just old-style cameras. In this age, where people are paying more attention to their health and wellbeing, you’ve also got fitness and health monitoring devices. More specifically, we’re talking about fitness watches. 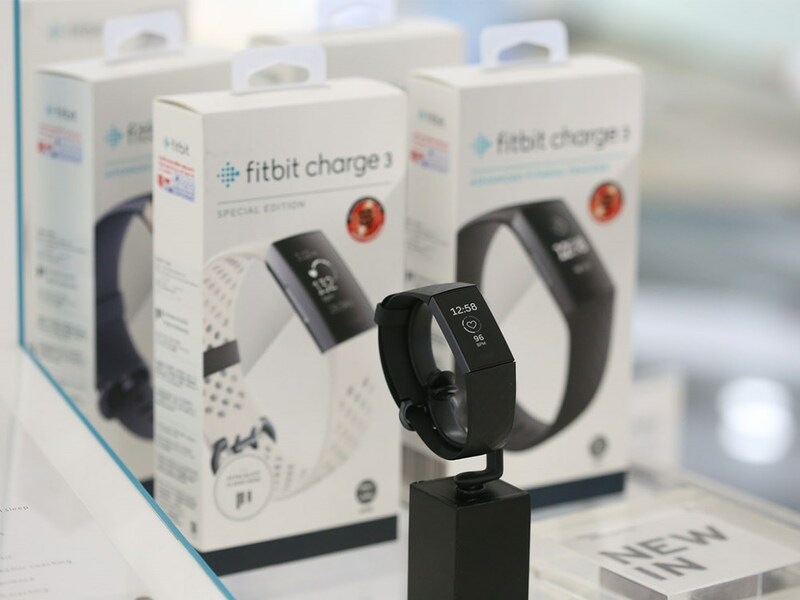 You’ve got brands like Fitbit, perhaps the brand in which most people are familiar with when it comes to health trackers and fitness monitors. One of Fitbit’s more popular products is the Fitbit Ionic, whose features include the ability to play music and a GPS system. Additionally, you also have the Fitbit Charge 3, which provides a vast option of exercise modes to select from and the ability to measure your heart rate. 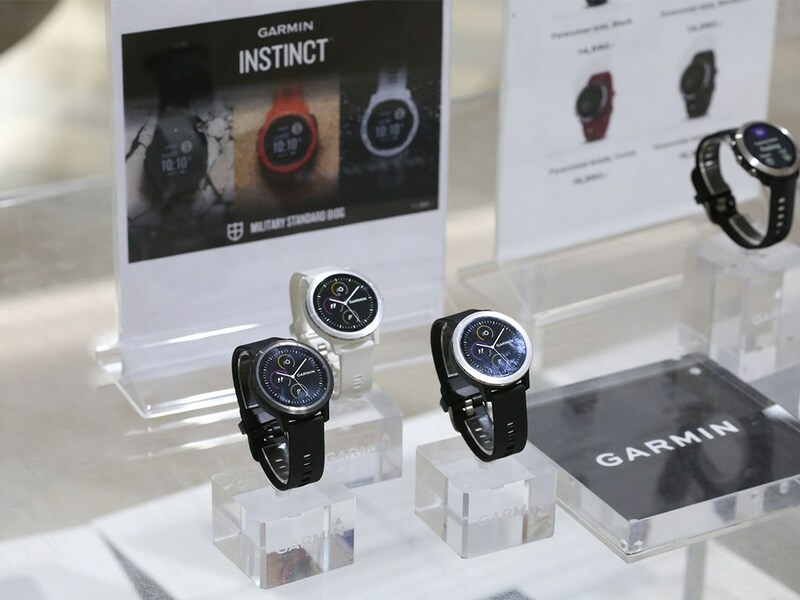 Another well-known brand of fitness-monitoring watches is Garmin. One of its more popular models at the moment is the Garmin Instinct. The Instinct’s prominent traits include a battery that lasts up to 2 weeks (that’s 14 days!) and modes that can track and monitor up to 50 different sports! This is one smart watch. Finally, you have the Finnish brand Suunto. Suunto is actually relatively new to both the Digital Lab and Thailand, having been imported just a little over four years ago. Nevertheless, it is unanimously considered by fitness watch enthusiasts to be the best of its kind. It’s most popular model, the Suunto 9, features an accurate GPS system and an accurate heartrate monitor. Furthermore, its battery is durable and long-lasting. The staff at the Digital Lab have even gone on to say that it is the type of watch that answers customers’ every need. There’s not much more that needs to be said after hearing that. But it’s not all about having the latest and most exclusive items and gadgets in the country for the Digital Lab. The staff there are also about providing the greatest service they can possibly give. This doesn’t mean just paying attention to their customers but also answering to their needs, in addition to being just as friendly. Additionally, it’s about allowing the customers to get to know the products. At the Digital Lab, customers are allowed to test all products. Even if there’s something that’s not on display or out of the box, one of the staff will make sure to find it in storage and let the customer give the item a test run to see if it meets or satisfies their needs. Perhaps that is the true beauty of the Digital Lab. Come and experience this true beauty for yourself at the 2nd Floor of Siam Discovery.